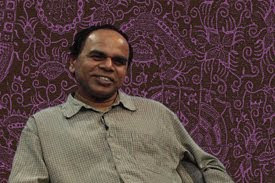 Bahee Sathasivam shares a few chicken stories with us from his childhood growing up in Sri Lanka. 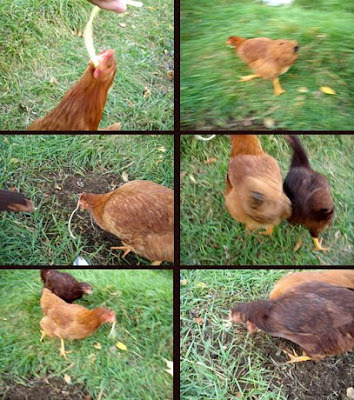 Chickens were more than just food to the kids, they were beloved pets. Catch Bahee’s and other international poultry tales in our upcoming film, Mad City Chickens. Editing is never boring. Tiresome, tedious, time-consuming it is…but never boring. Mac’s Final Cut Pro non-linear app is dynamite to operate. It makes editing movies a real blast. It also works wonders on pacifying the kid. 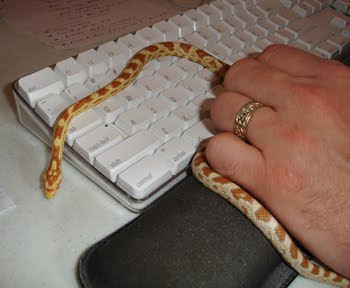 In this case, the kid being one of Tashai’s captive-bred pets…a butter corn snake to be specific. She goes by the named of Chloe. With Chloe at the keyboard, my editing is always a bit more interesting. 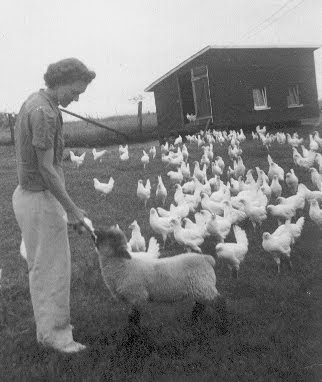 Thanks to Chris and Andy Yero for the photo of Andy’s mother with her chickens looking on (Highland, Wisconsin 1955). Still images work wonders as B-roll. We’re looking for both current and historical photos of chickens, coops, eggs…as well as period stock of the Industrial Revolution, Great Depression, World War Two, Post-War Suburbs and the like. We’ve put the word out to some in the chicken community and are starting to get a number of favorable responses. But we still need more. 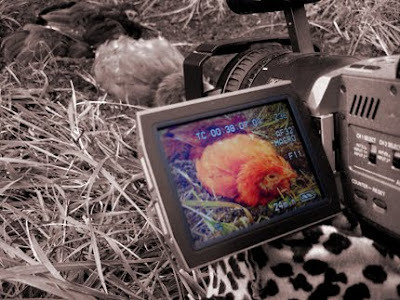 If you’ve got high rez images that you think we could use in the Mad City Chickens film, don’t be shy. Time is running out. 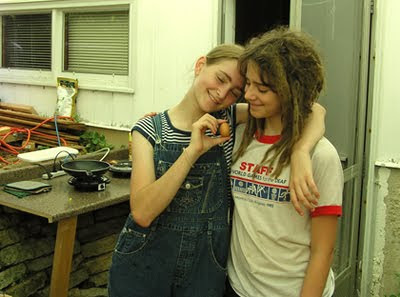 Thanks to Carl Wacker for the above photo of his two daughters holding their hen’s first ever egg. Always a memorable moment for every chicken owner. As we continue the push towards a final cut of our film, we find ourselves compelled–nearly obsessed–with the last minute scrounging of B-Roll…that all important footage needed for visuals of dialog or to be placed over cut and fractured video clips. Today we visited a yard waste composting site in order to recreate 10 seconds of “landfill” footage. Having saved our garbage up for over the last three weeks (which really wasn’t that much since we recycle and compost), we had ample raw materials from which to “set decorate” the location. Of course, once the footage was shot, we cleaned up our mess and disposed of the refuge properly. Last night we joined with Madison-area chicken owners at the annual almost-annual meeting of the Mad City Chickens group. Good food and chicken chat was to be had by all. Old timer “pre-ordinance undergrounders” were joined by several new faces, attesting to the growing urban chicken movement. We spoke about our film and its post-production progress, but not wanting to give too much away, we only showed a couple short teaser clips. Mornings, days, nights…even in our sleep…we continue our editing quest to complete Mad City Chickens before film festival deadlines expire. Yesterday saw the two of us tag-teaming on the Mac from sunrise to midnight. 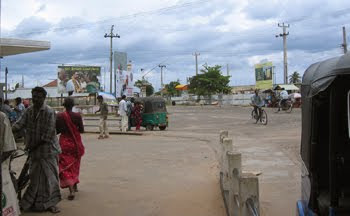 The result–a total of five minutes added to the final film timeline. May not seem like much, but hey, it’s a stellar five minutes! 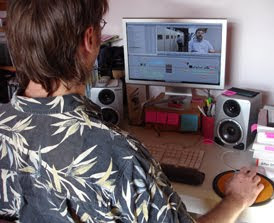 Yes, it’s true…we keep saying that we’re deep into the post-production edit of this Mad City Chickens film. Yet, what do we do? Head out again to shoot even more new footage! Katie Dean, writer for the Capital Times, allowed us to haul our camera and lights into the newspaper’s Madison headquarters so we could ask a few questions about the April 2007 front page article she wrote on Backyard Chickens. See also the sidebar she wrote on the Mad City Chickens film when we still had plans to include a polka band. The thing that seemed to intrigue Katie the most in her research was the fact that some chicken owners thought of their hens as pets. Much more than just egg producers…chickens were members of the family. Unless you are extraordinarily charmed, you can have two, but not all three. You can make a film FAST, but if you want QUALITY, it won’t come CHEAP. You can always shoot a CHEAP film FAST, but you sacrifice QUALITY. Finally, you can produce a high QUALITY movie on the CHEAP, but it won’t come FAST. It takes TIME or MONEY to make a good feature-length film. As we approach the 2.5 year mark of Mad City Chickens, we obviously have gone with the TIME option. Now in the thick of post-production, we’re racing against film festival submission deadlines to get the movie done! We are hard at work applying a slew of cuts and fine-tune edits on a daily and nightly basis. We can only hope that viewers will think it was worth the wait. We just got the news! Beanie the piano playing chicken has agreed to be in our Mad City Chickens film! We were contacted this week from her estate in Escondido, California, by her agent, James Walker. Walker, a long-time associate of Beanie, says that the piano is one of her true joys in life. We are thrilled to include footage of her and her unique talent in our film.